This belt is made from compressed, porous, water resistant materials and ensures good extended pulling power. It is recommended to fasten the belt around the hips in order to limit pressure on stomach muscles. 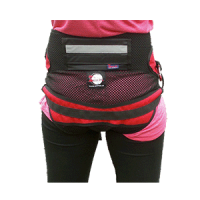 The belt features a unique "lowered pull force" design that helps to distribute the pull force to only the hip area covered by the belt as well as the buttocks. This eliminates pressure on the spine. Careful adjustment of the buttocks straps will bring the "lowered pull force" into play. One size fits all. 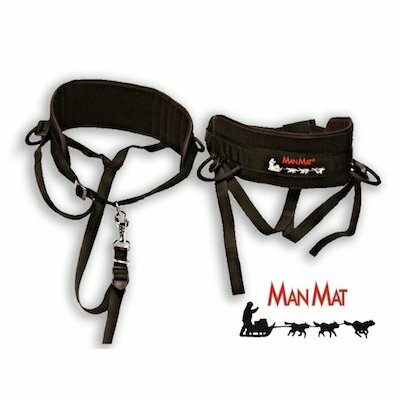 ManMat dog team logo embroidered on back side.